We are proud to present our newest addition: Lumber Queens! Many lumber dealers boast that they buy directly from the mill. We took that idea a few steps farther and bought the mill. Our new sawmill in Brazil is located just a few miles up the river from our existing kiln-drying and finishing plant. 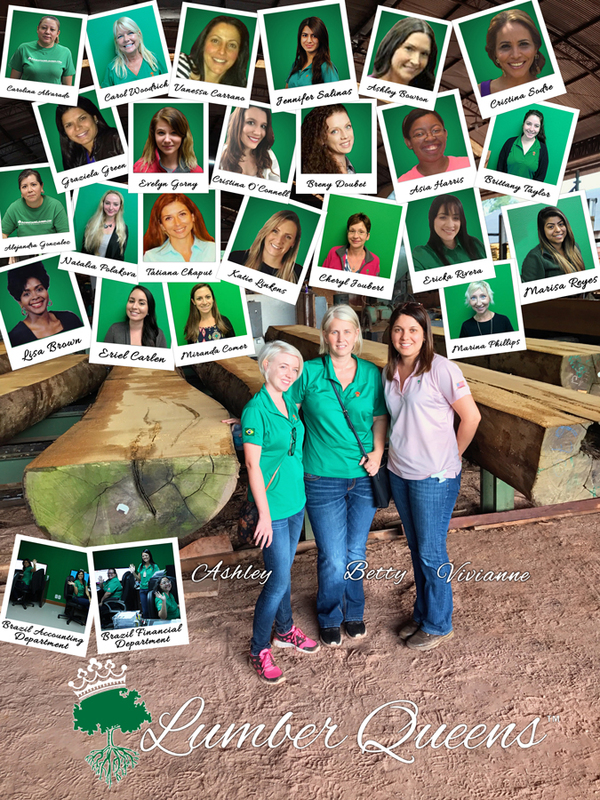 The Queens of the Lumber Industry, Vice-president Betty Pelc said, “I chose the name to highlight and honor the rapidly rising role of women in our company and the industry. For centuries, the industry has been dominated by men, and for the most part, they have done a fine job, but I think women have some long-overlooked ideas for production, distribution, treatment of workers, and ecology that will surely change the way things get done.” The facility is overseen by our South American director Viviane Peixoto, and exports are handled by our US-based import / export manager Vanessa Carrano. We are building a power team that happens to include a lot of women, and things are changing in exciting ways. The Lumber Queens facility houses two separate sawmill lines that process a combined 34,000 board feet of hardwood lumber per shift. There’s a port for receiving barges carrying up to 850,000 board feet of logs at a time. 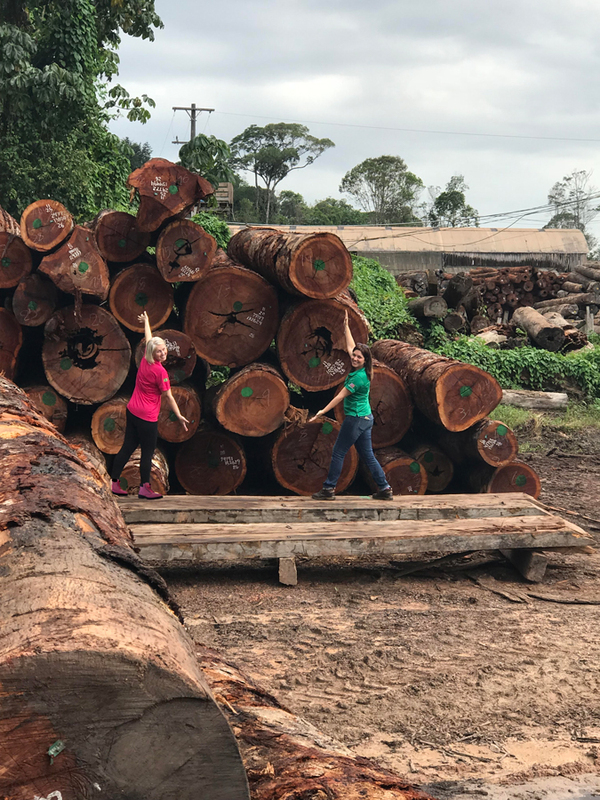 The grounds also include a 10-acre log yard that stockpiles up to 3 million board feet of logs, allowing production to continue throughout the rainy season.The rough-sawing facility employs approximately 40 local workers in addition to the 120 employees at our existing kiln-drying and finishing mill nearby. Just like all of our other facilities, our new rough sawmill is FSC-certified. Our new mill provides rough blanks for processing at our kiln-drying facility, where we produce exotic decking, deck tiles, hardwood flooring, beams, live-edge slabs, turning blanks, industrial lumber, cabinet-grade hardwoods, and other FSC-certified wood products. All of the material processed at our facility is responsibly harvested from well-managed forests. Trucks filled with logs ready to be milled at our Brazilian sawmill! Here is a log ready to be milled into blanks. Cutting slabs from a log is the first step in the milling process. Milling decking blanks from wood slabs.